Richard Sherman is the Chief Executive Officer of The David Geffen Company, an investment management firm. From 1977 until 1992, Mr. Sherman was a partner with Breslauer, Jacobson, Rutman and Sherman, which provided business management services. Mr. Sherman was a staff accountant with Peat, Marwick and Mitchell from 1973 until 1977. Mr. Sherman is a certified public accountant. Mr. Sherman serves on the boards of directors of Aviva Family and Children's Services, the Geffen Playhouse and The David Geffen Foundation. Mr. Sherman also previously served as an adjunct professor of finance with the Graduate School of Architecture and Engineering of the University of Southern California. He has a Master of Business Taxation degree from the University of Southern California. 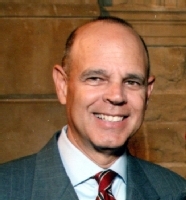 Mr. Sherman was appointed by Governor Brown in 2014 to a term ending in 2025.